Setting up QA processes in an Agile environment? Check this out. Agile software development evolved as a practice to establish an approach that fosters flexibility, speed, and collaborative effort. With Agile, solutions evolve with an inclusive approach and with cross-functional team efforts. New age organizations with changing needs are realizing its benefits for faster application development cycles and quicker turnaround during demanding situations. 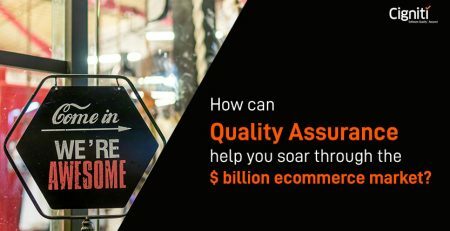 However, shorter and faster development cycles are generally questioned for quality, and that’s where Quality Assurance (QA) comes in. While quality brings in validation, it cannot impair the software development process and its pace. Nevertheless, QA becomes an integral component of the equation, especially, to bring validation and ensure stability for the application. It helps to build an application that is robust, reliable, and accessible even during any unforeseen circumstances. Hence, testing cannot run in phases, as it has to be planned as a process. With Agile development, both testers and developers have to work together and the roles could be interchangeable. Hence, it is important that the requirements are frozen and the team is well informed. Testing will come into play right from the time when the user stories get written. Both the development and testing team needs to have a clear understanding of the expected scope of work. Transparency is the ground rule of Agile development. Agile way of development is much more experimental and exploratory in nature. The roles can interchange and even the scope of the project can evolve over a period of time. The testing team needs to sync in effectively within the development cycle to deliver the application with tested codes. 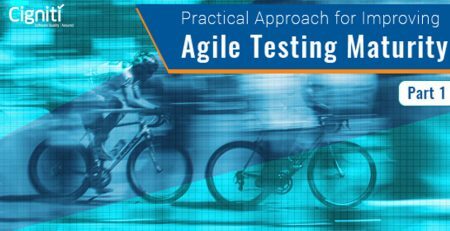 The role of QA in agile can involve both testing and development. The idea is that developers and testers must actively engage to deliver the code and complete the project as per the client’s brief. QA helps to proactively address issues and potential bugs within an application during the development cycles. It can also help address functionality, performance, or security issues. 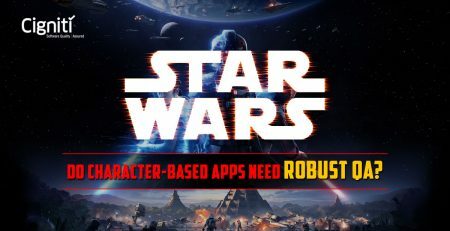 This will not only ensure stability of the application, but also bring down the testing efforts once the application lands in the hands of the users. In this way developers are able to move ahead without dealing relentlessly with pending issues or rework. While dealing with pending issues, QA team would be better equipped to provide quick feedback with effective collaboration with the development folks. This enables developers to respond efficiently to changes and go back and forth while the application development process is in progress. It even helps to bring down the efforts along with time and costs. Ultimately, it supports faster turnaround and cost-effectiveness, which is absolutely indispensable in the era of Digital Transformation. As some experts have aptly stated, Agile practices provide teams and individuals with the required ownership while operating on projects. But QA enables teams to bring relevance and stability while churning codes and deciphering client briefs. In this way, with constant collaboration and flexibility teams are able to deliver innovative applications. What does it take to build a good QA plan for your Agile set-up? QA must fit into every development approach to make the process reliable and validate every step. At the same time, it cannot obstruct the speed at which the development process is running. So, what does a relevant and best-fitting QA plan look like? Agile development works with shorter goals and with smaller targets. This implies that QA needs to fit into the Agile equation that is much faster and dynamic in nature. A result-oriented approach can make all the possible difference for teams to deliver results that drive faster towards the end objective. Testers and developers do work together, but delivering the specific results makes them work more cohesively. Agile or any new software development approach works effectively when transparency is maintained. Whether it is with clarity of goals, or clarity through the process; it is important to keep things in the bright light while working in an Agile environment. This will help teams to collaborate well and deliver within time constraints. Testing cannot be saved up till the end of the cycle. It is important to integrate it within the development cycle. It must happen throughout the sprint, where the QA workload gets distributed and enables teams to identify issues during the cycle, rather than at the end. When testing and development is integrated it enables both the teams to resolve issues at speed and by ensuring better quality. The value of in-person demonstrations and meeting is incredible. Hence, whenever an opportunity comes by, it is good to organize face-to-face demonstrations for various application features from the development team. This will result in further involvement from the QA team and help clarify issues in person. Moreover, in person interactions will reduce the feedback loop between development and QA, resulting in more collaboration and faster turnaround. Cigniti has been a trusted testing partner for many organizations in various stages of adopting Agile. We have helped organizations new to Agile build in QA planning, estimation, metrics into their sprints. Connect with our team of Agile experts and start off with confidence on your Agile plans.